Yemi Candide-Johnson is the senior partner at Strachan Partners. He was called to the Nigerian Bar in July 1984 and conferred with the rank of Senior Advocate of Nigeria in September 2003. He received his LLM degree from the University of London in 1984 and between 1984 and 1990 was counsel in the leading chambers of Jon B MajiyagbeSAN, in Kano, Nigeria. He moved to Lagos in 1990 to establish the Lagos practice of that firm and in 1994 led the founding of Strachan Partners. Yemi is an author of several scholarly papers, he recently co-authored the book Commercial Arbitration Law and International Practice in Nigeria, a significant and substantial contribution to arbitration practice in Nigeria and West Africa. 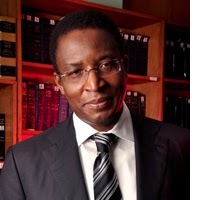 He is continuously engaged as leading counsel in ongoing major and high-profile commercial and public policy litigation across the courts in Nigeria and has been either counsel or arbitrator in several domestic and international commercial arbitrations in the maritime, petroleum, banking and construction industries. Yemi has chaired or sat as co-arbitrator in a number of arbitration proceedings including construction, petroleum and public matters. He recently advised the international consortium in the billion-dollar reclamation and development of Eko Atlantic City, Lagos - a landmark revolutionary project in the history of Nigeria. Yemi also successfully defended the government on the use of the newly introduced vehicle registration documents and drivers' licences. In a number of cases, he has successfully prosecuted matters that are of public concern, for example, the removal proceedings of the managing director of Cadbury Nigeria Ltd, the decision of which impacted the stock market at the time. He is a fellow of the Chartered Institute of Arbitrators of England (FCIArb), an approved examiner for the same institute and an honorary fellow at the Centre for International Legal Studies in Salzburg, Austria. He is a supporting member of the London Maritime Arbitration Association, and at home he is a member of the board of directors of the Lagos Court of Arbitration and immediate past chairman, Nigeria Bar Association, section on business law. In a number of cases, he has successfully prosecuted matters that are of public concern, for example, the removal proceedings of the managing director of Cadbury Nigeria Ltd, the decision of which impacted the stock market at the time. Yemi also continues to represent clients' interest in various commercial real estate developments in Nigeria, particularly in Abuja, Port Harcourt and Lagos; and advises individuals, corporations, foreign and local government departments on various commercial transactions.